There is no denying the fact that Indian Retail has come of age and this is becoming increasingly evident in the sudden surge of retail activities that are taking place in this space. Having taken a gauge of this fast changing situation and responding to these massive changes, retailers and real estate developers are building many of their business initiatives around it and churning out retail strategies that would prove to be rewarding to both of them. Growth of consumerism has seen new heights. More importantly, middle class consumerism both in metros and smaller towns and cities have grown at a pace that could not have been expected a few years back. Retailers and developers are increasingly trying out newer practices such as inventory management, appropriate store sizing and improved mall-management techniques. 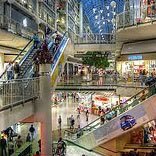 The importance of efficient mall management techniques to ensure strong footfalls is realized by both retailers and developers alike. Retailers and developers have unanimously agreed to the revenue-sharing model that would ensure minimizing downside risks and sharing success together. Exorbitant Real estate prices in some cities in India are holding back many retailers. The lease or rent of the property becomes one of the major areas of expenditure for them in these places. Unfavourable Government policies and stringent taxation policies also stand as another hindrance in the way of both developers and retailers in setting up their retail ventures. In a recent survey done by Jones Lang LaSalle India, New Delhi and Mumbai appear to be the fastest emerging retail hubs in the country. The report concludes by saying that there are considerable retail opportunities in these two cities which is quite encouraging. In addition, growing retail opportunities in cities like Kolkata, Bangalore, Pune are opening up many retail property opportunities for real estate developers and this is going to further transform with new government policies coming in. There is clearly a significant requirement from both the retail sector and the property industry to know where India’s next growth opportunities are likely to be concentrated and how it will be taking place.